Preparing for Surgery? Consider These Tips! Undergoing surgery, or even the process of deciding whether or not to, can be a very stressful time in one’s life. The lead up to a surgery can be overwhelming; from scheduling pre-op appointments and tests to figuring out insurance coverage, all while possibly juggling a full time job and family life. As an outpatient physical therapist, I have treated many patients who have just undergone an orthopedic surgery. My role as a PT not only includes guiding their rehab, but also providing education on how to optimize their recovery. Up until recently, my recommendations had been approached through the lens of a provider; the information I bestowed was what I had learned from clinical experience, or from scientific research. Then two years ago I had a major surgery and was thrust into the role of a surgical patient for the first time. The experience was quite stressful, but I also found it very enlightening. Navigating the process of preparing and recovering from surgery allowed me to experience some of the barriers my patients go through. It was valuable for me to understand what information you’re provided as a patient, and what information you have to seek out yourself. As a patient having a consultation with a surgeon, you are in a vulnerable position. You are scared or worried about your condition, and you’re hoping to receive some guidance. Then a very knowledgeable and confident surgeon provides you with their recommendations. Well, that’s that, right? Not necessarily. It is important to know that, as a patient, you are entitled to a second opinion. Not all surgeons think alike or use the same techniques, and it is important to know if you have other options. If you get a second opinion and they agree with your first surgeon, it can at least be reaffirming to have some consensus about your plan of care. If you have a consultation with a surgeon, and you’re a good surgical candidate, then it’s likely they’ll recommend surgery. Seems pretty straight forward. But what if you’re also a candidate for other less invasive options? While there are emergency situations where immediate surgery is indicated, too often patients are directed toward more invasive procedures before exhausting more conservative options, such as physical therapy. For example, a patient with advanced knee arthritis could very well be a good candidate for a knee replacement. However, why not try physical therapy first to see if improving strength and mobility also improves pain and function? This could at least delay your need for a joint replacement, which, considering the implants have a limited life span, could prevent a revision surgery in the future. Or if joint replacement surgery remains the plan, then at the very least maximizing strength and mobility before surgery will only help your post-op recovery. It is perfectly normal to have some questions or concerns when deciding to have surgery, and that decision should be well-informed. The surgical consultation is a great time to seek answers to those questions. I will say, however, that appointment will fly by and you may find yourself walking out of the office realizing you didn’t ask any of your questions. My recommendation is to jot down your questions beforehand and bring them with you to the appointment. The surgeon will also provide you with a lot of information, which can be a lot to absorb and remember. I recommend using the Voice Memo app on your phone to record your appointment. That way, you can simply refer back to the recordings without worrying if you missed something. First of all, there are lots of logistics to work out before surgery: preparing your house (i.e. stocking up on food/toiletries/medications, setting up a main floor bedroom to avoid climbing stairs, improving safety by removing clutter), asking friends/family if they can provide help as needed, requesting time off from work, etc. It’s also a good idea to speak with your insurance company about coverage beforehand so you get an understanding on how the procedure will be billed and what costs you may be accountable for (unexpected hospital bills are never a fun surprise). It is also important to prepare your body and mind for surgery. Having a nutritious diet, staying physically active, quitting smoking, and getting plenty of sleep leading up to surgery will help optimize your healing and recovery (same thing goes for after surgery too!). If you’re feeling especially stressed about the upcoming surgery, try some simple deep breathing exercises or meditation to manage stress levels, which will also aid in the healing process. Preparing for surgery can require a lot of mental focus, therefore the post-surgery plan can often fall by the wayside. One important aspect of post-surgical care I’d recommend focusing on is pain management. Discuss with your surgeon what your various options are, the side effects, and if there are other non-prescription pain management options. Managing pain after surgery is important, and it should be done in a way you feel comfortable about. 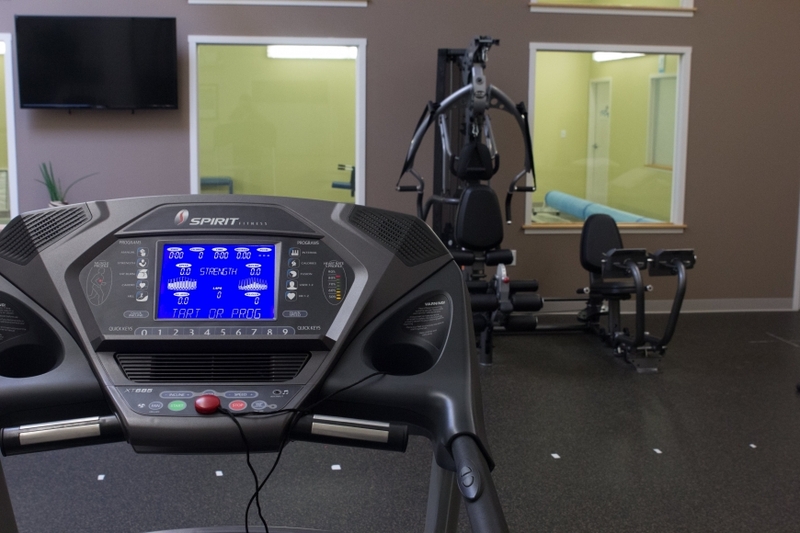 Many orthopedic surgeries will also require rehab afterwards. Therefore, find out how long after surgery you should start therapy and consider setting up that first appointment several weeks ahead of time. There are instances where patients having a non-orthopedic surgery could benefit from therapy as well. For example, scar formation is a normal outcome after surgery, however, not all scars heal the same. Sometimes scars can cause fascial restrictions in the surrounding tissues, which can affect mobility and even function. PT’s and massage therapists can perform scar mobilizations to not only improve scar pliability, but normalize tension in the surrounding tissues. Another potential side effect of any surgery is muscle weakness. Not only is it common to become deconditioned from a surgery, but muscles in the area of the incision can become inhibited. Therefore, after any surgery, it may be a good idea to get evaluated by a physical therapist to ensure that your tissues are healing normally and to assess if there are muscles that need strengthening. This is by no means an exhaustive list of things to consider before a surgery, but hopefully it will at least provide a starting point for the decision-making or preparation process. When it comes to your health, it’s important to be as informed and empowered as possible!